Laura's Gift Shop - Fine gifts with thought and distinction. Welcome to Laura's Gift Shop! What a perfect gift for the new baby! 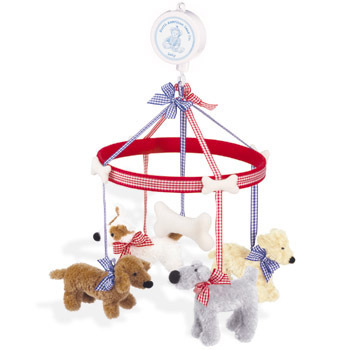 The Ollie Dog Mobile will entertain your little one while resting in the crib. Click on the picture to see it in detail. Some of our in stock items have limited quantities. If you would like to make a large or a special order please e-mail us for quantities and delivery times. Special discounts may apply! Thank you for visiting us! Have a great day!